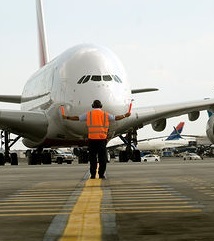 Airport workers can face a number of hazards on the job. In addition to working with cargo, heavy lifting, dangerous fumes, and electrical issues, workers also face the danger of accidents on the runway. According to reports, a 59-year old worker was recently killed at Logan International Airport. The victim has been identified, however investigators are still trying to determine the cause of the accident. The worker was guiding a lavatory waste truck to an aircraft when he was struck and killed by another vehicle. Workers’ compensation is available to the family of any worker who is killed while in the course of performing work-related duties. In this case, the accident took place on the site and while he was directly engaged in his duties. Workplace Injuries at Logan International can occur to workers in a number of ways. We are abreast of legal developments throughout Massachusetts and dedicated to raising awareness and improving worker safety. Out on the runway, there are workers completing various job duties. Some will be guiding planes off the runways, others will be facilitating passengers exiting and entering planes. Mechanics are responsible for engine and technical maintenance while airline employees will be bringing in baggage and completing necessary tasks for incoming and outgoing flights. The worker who was killed in the accident was one of the many employees on the runway when he was struck by a driver who was backing up his vehicle. Authorities have continued to investigate the accident and tested the driver for drugs and alcohol. Though law enforcement officials reported that the driver showed no signs of impairment, they could not rule out the possibility that he was under the influence. According to reports, the driver of the truck who struck and killed the victim was extremely overwhelmed and stressed by the incident. Emergency crews had to treat the driver and take him to Massachusetts General Hospital for stress-related treatment. The family of the victim will be eligible for workers’ compensation; however, it was not reported if he worked for the Massachusetts Port Authority or if he was an employee of an individual airline. Initial investigations were trying to determine whether the victim was struck by a vehicle or another airline. The accident occurred underneath the airplane where the victim was working. At the same time, the truck reversed in direction and struck the victim. According to witnesses, the collision was the result of an accident and the driver will not be charged. A third-party liability lawsuit may also recover wrongful death damages if an entity other than the victim’s employer was at fault in the incident. The accident is still under investigation, but initial reports indicate that the victim died of a head injury. Since there were a number of employees from different employers present, the victim of this family may be eligible to bring third-party claims in addition to workers’ compensation benefits. Any negligent individuals or entities responsible for the accident may be held liable for the wrongful death of the victim. OSHA Lists Top Workplace Violations of 2013, December 4, 2013. Fencing Company Fined for Endangering Massachusetts Employees, December 1, 2013.